You’ve done it. You are at the nadir! Anything you do from this point forward will temporarily counteract the entropic tendencies of that system known as your car -assuming an asteroid or flood doesn’t stop by for an afternoon chat. From here on you’ll be moving closer to that first turn of the ignition key, that first drive, that first stone chip. Or: your car is as apart as you can get it without employing cutting tools. Everything from here on out is part of the process of putting it back together. As with any process, there are things that need to be done in preparation, things that just need to happen at some point for the process to be considered complete, things that can be done simultaneously, and things that need to be done in a specific order because if they are not, they either can’t be done or a lot of time will be wasted. Some are obvious -you wouldn’t paint before the rust repair or torque the head before putting the head gasket on for example, but others are a little more subtle, like assembling the front turn signal lights – but mostly it’s a matter of not doing things more than once or twice if possible, and taking advantage of big blocks of time the car will spend with experts -such as when getting rust repair and paint. If you are doing every single thing to the car yourself then the process will take however long it will take because you can’t do more than 1 hour per hour. Car manufacturers are keenly aware of the dependent and independent processes that go into putting a car together. Everything is prepared and on hand for trained staff to do the job efficiently. Here some Montreal’s and Dino’s (?) get coupons for Pizza delivery tucked under their windscreen wipers. 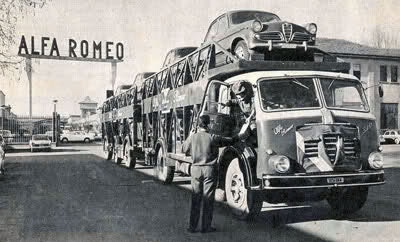 I got this image off Alfa-male, a great Alfa site. Some people can be dropped on a random corner in an unknown country and find their way without a conscious thought about it. Others need one of those language neutral maps with a big red dot -YOU ARE HERE. When that project car you bought turns up, there’s a good chance you are effectively on that corner in that unknown country. What are you going to do? Where are you? A map is useful because it shows you where you are, where you’re going (if you know it) and based on those, how to get there. 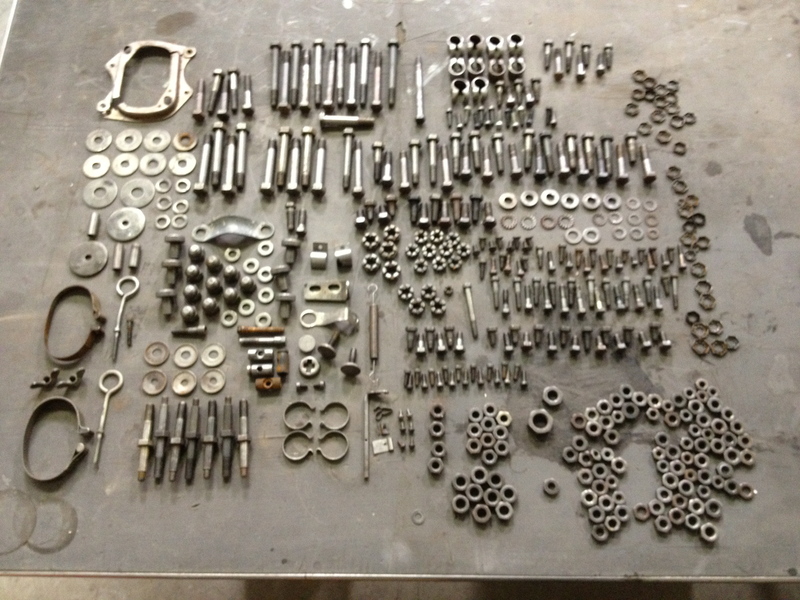 It looks something like this when you get all the fasteners gathered up from all those boxes are clean and in one place. Most of you will be thinking ‘oh god -good luck’ but some of you are saying -‘hey, there are 7 drop link bolts there and a car only needs two!’ You will all agree that if you can identify quite a few of these, you know where you are. In case you are wondering, I took this as a sanity check so I could identify what I sent to the electroplaters. Map analogy part 1: Where are you going? A Sprint project lurks in your garage. It’s in need of attention and you need a plan. To have a plan you need to know what you want from it -where are you going with it. So… -what do you want out of it? What does your Sprint look like and drive like when it’s done? This is the most important information for your restoration. Why? Defines your budget, timeline and a lot of other details. So, what do you want? This is a starting point that was all the excitement on the AlfaBB a few years ago. The project has gone dark as far as I know, but this car is in a garage somewhere waiting for work to be done. This is probably as difficult a starting point as you want to call a starting point. 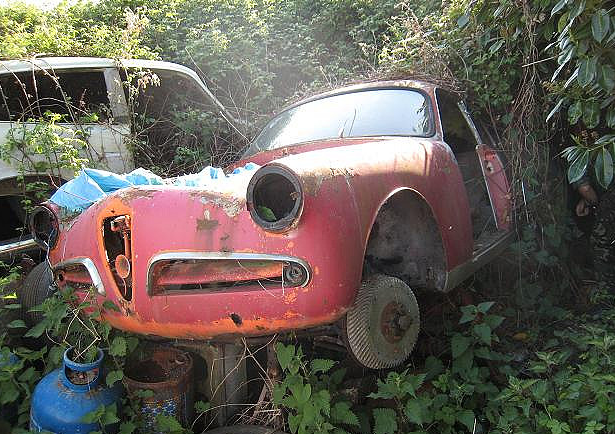 So you’ve read and reread my post about restorations and decided to buy a project Giulietta (or 101 Giulia). There is a reason you have decided to do this, and you need to try and identify it to make sure you find fulfillment in your purchase. What do I mean? Well, you need to ask yourself why and come up with a satisfying ‘because’. 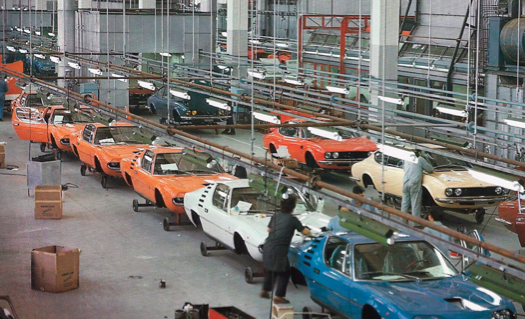 For example… I had an Iso Rivolta 300GT. How I came to possess it is unimportant, nor is the fact that it was a rusty hulk -a fast rusty hulk, but a rusty hulk no less. Anyway, on the 2000 California Melee I chased a 750 Giulietta Sprint on the deliciously twisty and fast road from Leggett to Fort Bragg -45 minutes of 50 mph bliss. If it was a scene in a movie it would have gone all slow motion and a Chopin prelude would have played sweet yet dramatic. That’s the car for me I thought. It took me a few years to round one up and the rest is history.